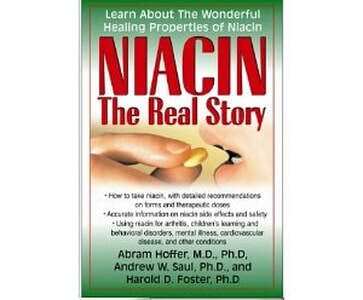 Dr. Andrew Saul's new book Niacin: The Real Story is co-written with Abram Hoffer M.D., Ph.D., who published over 600 reports and articles as well as 30 books. Dr. Hoffer's early work led to the use of niacin for schizophrenia and as an cholesterol treatment and successfully treated many thousands of patients with high doses of niacin. The authors present some very compelling evidence to support treating most psychotic disorders as a vitamin B3 deficiency.